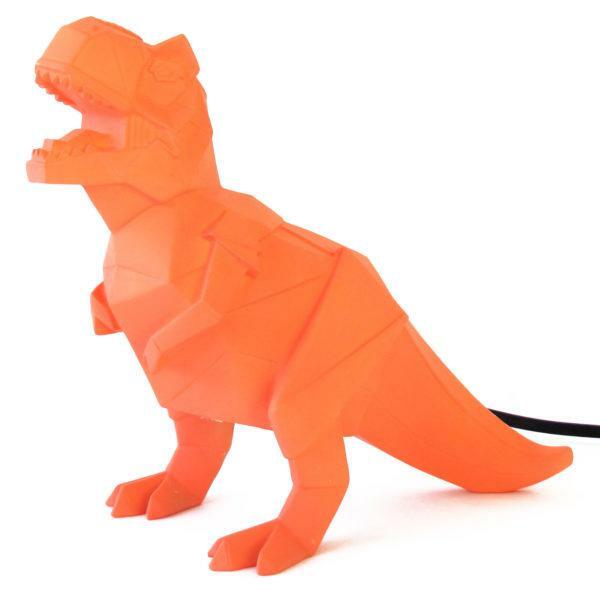 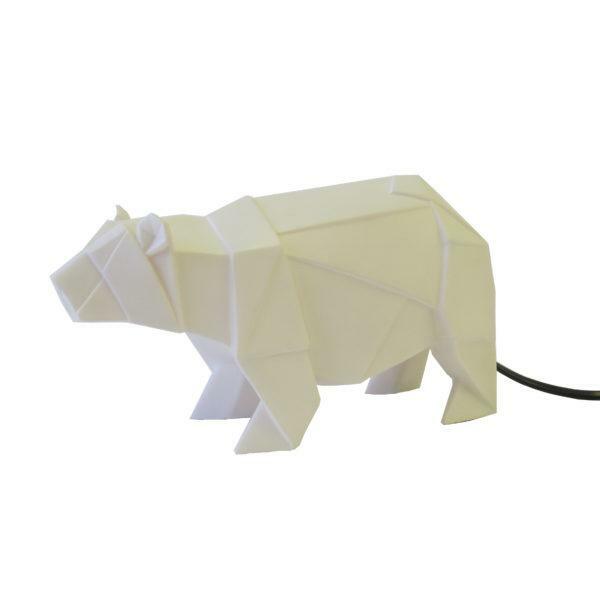 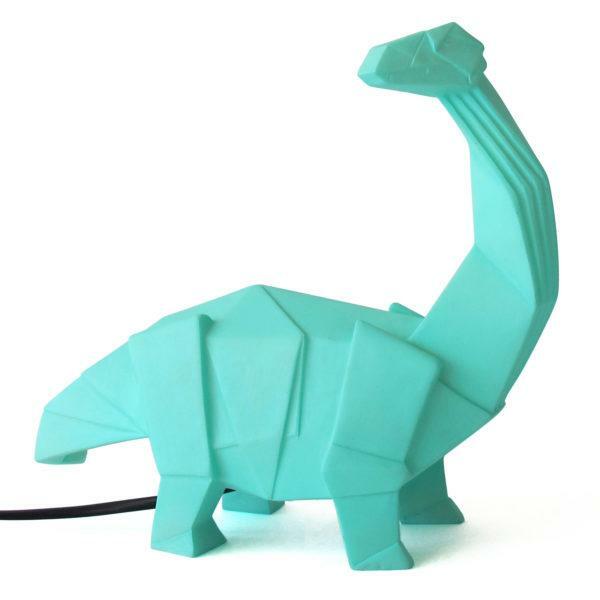 Add some retro styling to your kids room with this House of Disaster Robot lamp. 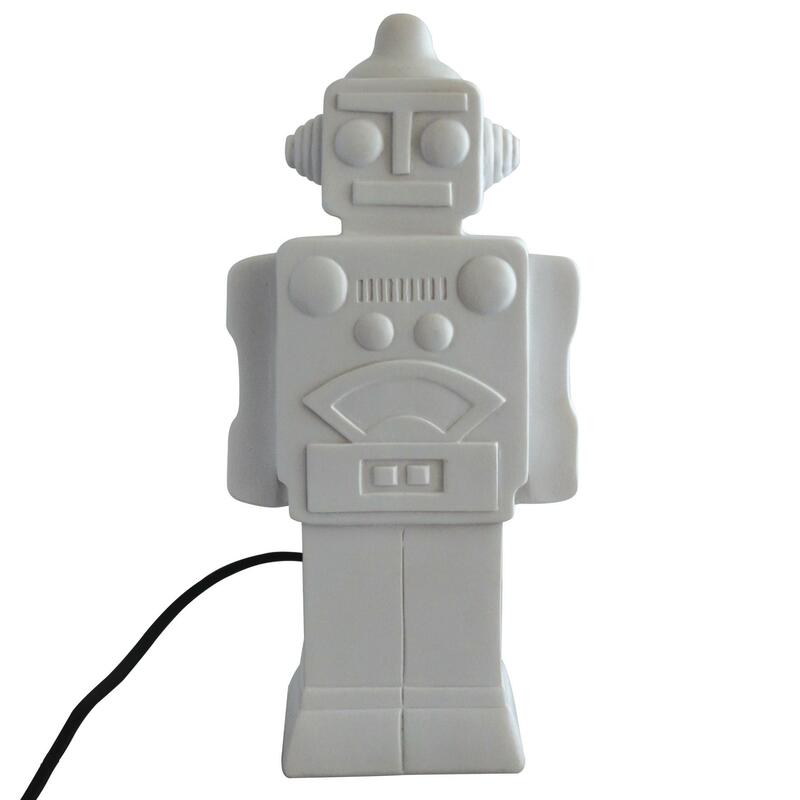 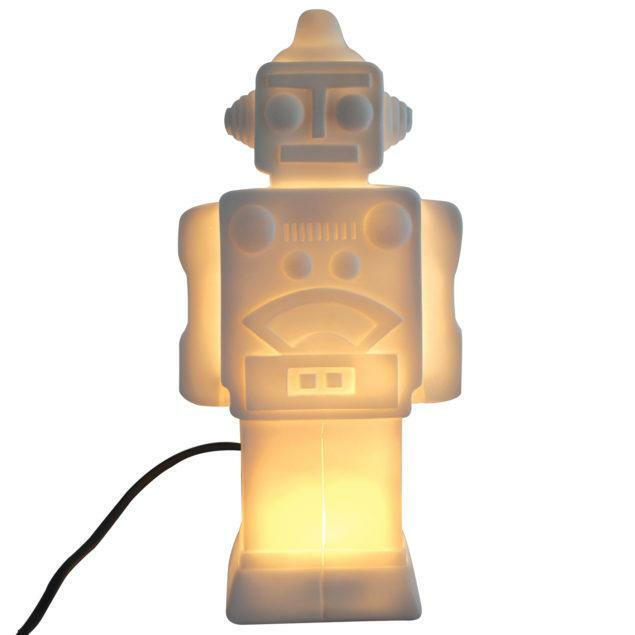 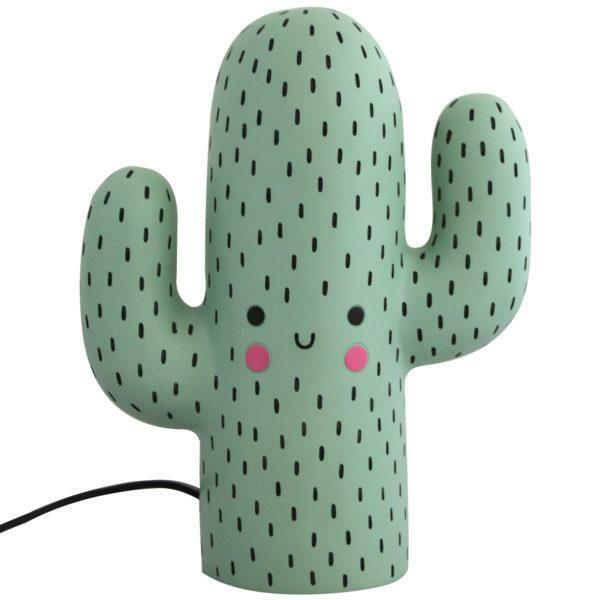 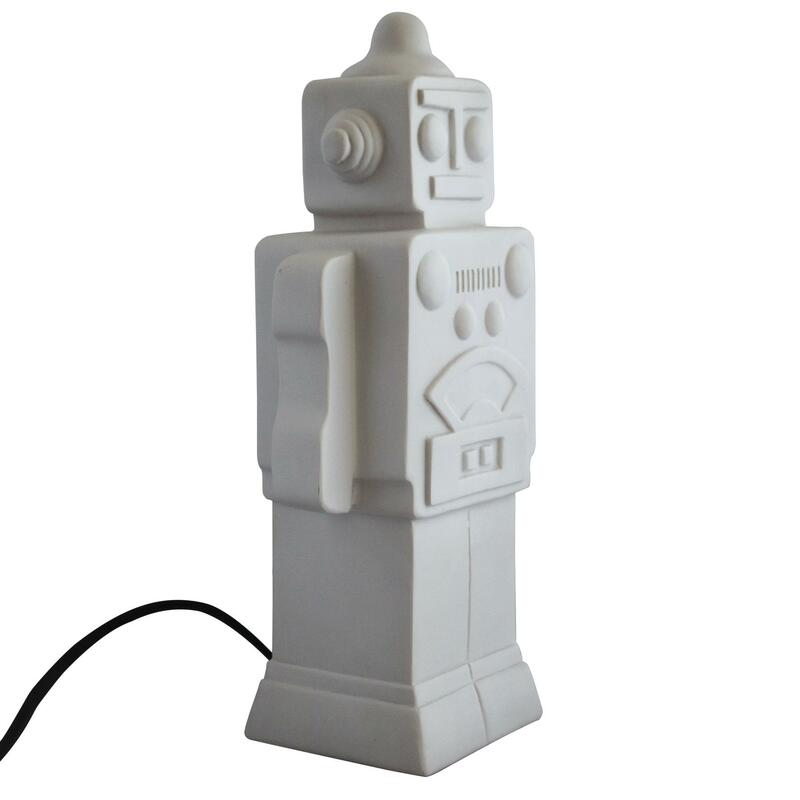 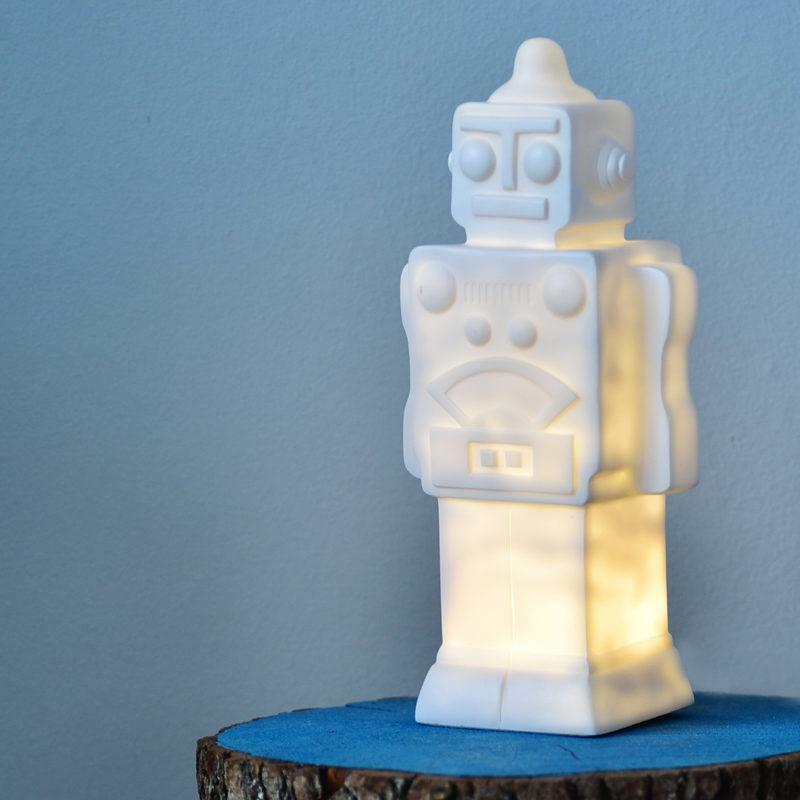 Shaped like a 1950’s style robot, this LED lamp gives of a soothing warm glow that will make a great addition to your kids room and makes a perfect night light. 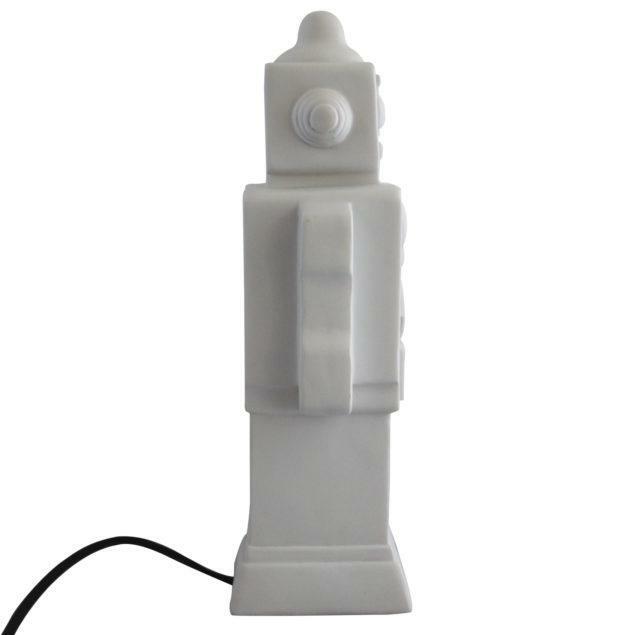 Comes with a UK 3 pin plug on a black cable with switch.